In this section, we’ll introduce you to our premium backup service, provide you options on how to promote your website, and explain how to obtain your free marketing credits. HostPapa Automated Website Backup is a premium backup service that automatically protects your webpages, databases, files, and emails. Backups are done incrementally to ensure efficient, accurate data storage. Backup service will keep up to 7 restore points of your website and other files, giving you multiple recovery points. You can quickly restore your data to a specific point in time. Simply choose the version you need and it’s done! 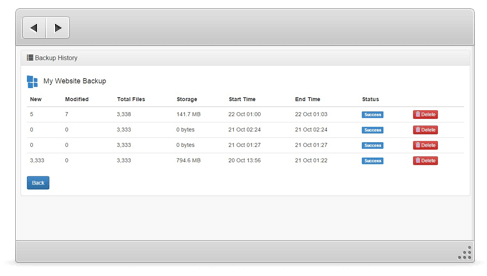 It also lets you manage file versions easily and restore your website without any technical knowledge or complications. Our simple intuitive interface allows you to perform recovery and management tasks from any web browser, anywhere. 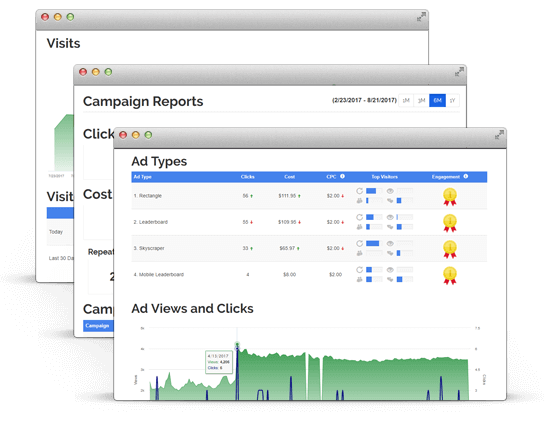 HostPapa’s AdGuru service helps you build and optimize your advertising campaigns and get your website found where people are actively looking – on Google, Yahoo, and Bing. It also builds your ads for you and markets your business on websites like CNN, New York Times, and hundreds more! Your ads are automatically created using your existing website content. The number of sites your ads will appear on depends on your advertising budget. After you build your campaign, AdGuru takes care of the rest and will continually update you on the campaign status. You don’t have to possess any sales or SEO knowledge to launch online advertising campaigns and generate leads, customers, and sales. One of the most important aspects to starting a new website is getting people to see it. In order to help you show your website to the world, we’ve partnered with some of the biggest companies in marketing. Don’t miss out on any of our special offers – boost your traffic now! 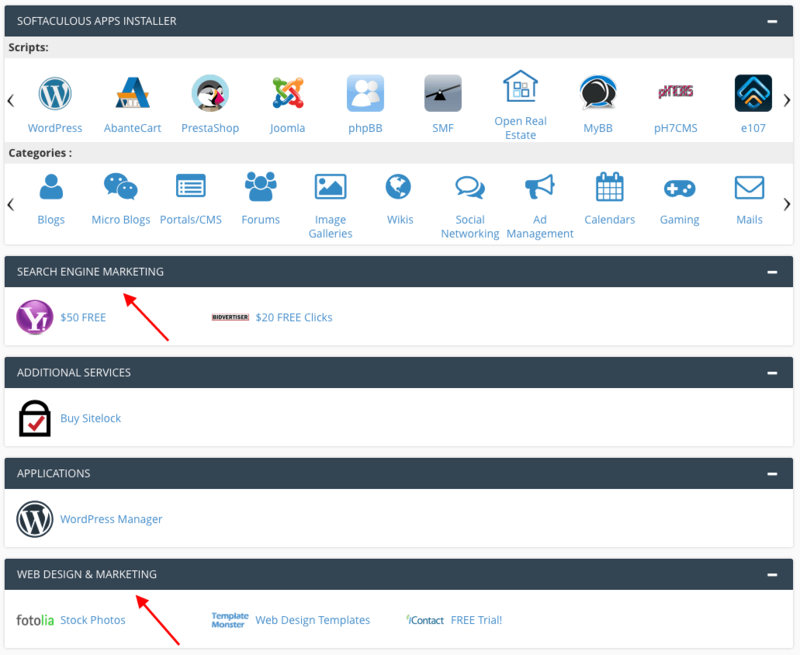 You can find these promotions when you log in to your HostPapa cPanel control panel. Just look under Search Engine Marketing and Web Design & Marketing on the main control panel screen. You will also see a number of special offers and helpful tips to build your website in our HostPapa customer newsletters. Take advantage of these offers today as our special thanks for being our customer! * To qualify for the $75.00 in free Google AdWords advertising, you need to spend a minimum of $25.00 within 31 days of entering your coupon code. Simply go to https://www.google.ca/adwords/ and enter your email address. You will receive an email with your coupon code and instructions on how to activate. Online shoppers head to Amazon as the go-to store for anything and everything. Shouldn’t your online business be promoted on the largest web-based store in the world? Think of the potential!